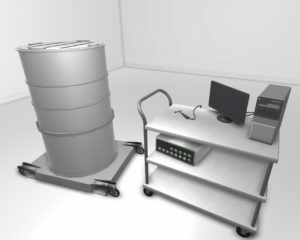 Verification methods involving eddy currents have the potential to support the goal of achieving just enough information to uniquely identify items without providing unnecessary information. One version of this method was developed by Pacific Northwest National Laboratory called the electromagnetic (EM) induction method. Under this method, a low frequency, voltage-driven coil induces a magnetic field (of a magnitude similar to the earth’s magnetic field) inside the container, causing eddy currents to flow throughout conductive components. The coil impedance varies in response to a multitude of independent parameters describing the container and the contents inside. Parameters that significantly influence the electromagnetic signature include electrical conductivity, magnetic permeability, total mass, mass distribution, and the orientation of each object interacting with the coil. The EM induction coil method has been evaluated at the Pantex Plant and Pacific Northwest National Laboratory. Test items in these evaluations included weapon components, models, and a wide assortment of metal objects selected to characterize and optimize the capability of this method. 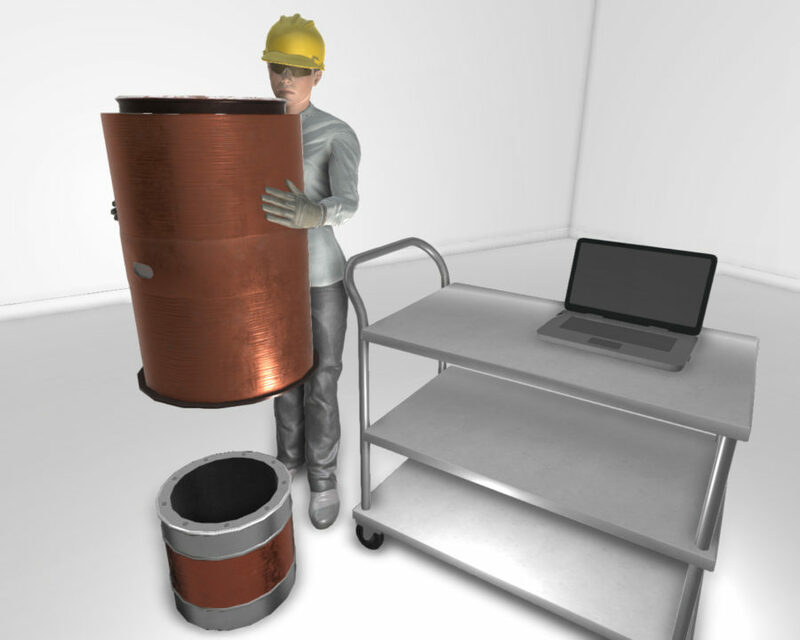 This testing phase showed that this method can uniquely identify metal containers, and their contents, sort weapon components according to type, sort objects made from different metals having the same geometry, sort objects made from the same metal having a different geometry, and distinguish between a metal and an oxide. An advantage of the induction coil technique is that the impedance measurement alone is not likely to reveal potentially sensitive information about the specific contained object; the method is, however, not sensitive to isotopic differences in an otherwise identical object.